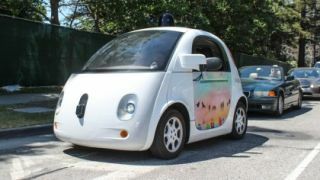 There are positives to driverless cars; the tech can provide a “safer, more fuel-efficient, and more convenient” transportation system than we currently have. However, this will likely come at the expense of human workers. Many tech companies, including some of the biggest ones on the planet, are developing autonomous driving technologies and self-driving cars. Alphabet, parent company of Google, has an entire subdivision dedicated to self-driving cars in Waymo. The company envisions a future where personal vehicles, ride-sharing services, trucking and public transportation all tap into autonomous driving features. Tesla is a major proponent of self-driving – Autopilot is one of its vehicles’ marquee features. The company is also developing an all-electric truck, which will have some autonomous driving features. Ride-sharing service Uber already uses self-driving cars to cart passengers around in select cities, and Apple’s self-driving car ambitions aren't a secret anymore. Ford, Honda, BMW and many more are all testing self-driving cars. While human operators are still required by law in these vehicles, the day when they aren’t, or fewer operators are needed, likely isn't far away. “How do we start creating, or at least having a conversation in our society about making sure that work and opportunities are spread, and that everybody has the chance to live a good and fulfilling life, rather than having a few people who are working 80 or 90 hours a week, and making enormous incomes, and then a large portion of redundant workers that increasingly have a difficult time supporting families. Obama’s message is a sobering one, but perhaps it’s just what’s needed as we face greater challenges as a society, both good and bad.